Accepting payments is the most crucial part of a customer journey and it is important that businesses are supported by a reliable payments platform. 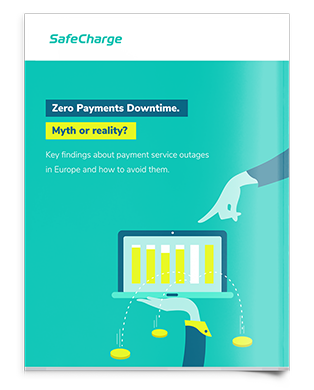 At SafeCharge, the platform is always kept up-to-date and in tune with modern requirements to keep our customers up and running. Our payments platform can be scaled easily by adding the number of gateways to support fast-growing volumes of transactions during peak sales events for our customers. Our platform is capable of handling over 10 times its average in processing volumes. Scalability ensures your businesses expansion is not locked down by payments technology. We work with an ‘Always on’ approach by managing two data centres in Active-Active configuration and continuous synchronisation. If one data centre network fails, the backup network instantly becomes active. Our system is monitored 24/7 – 365 days a year from over 30 locations. Our service availability is over 99.99% for years in a row.